Wat Pho: Every chedi, temple roof and column is covered in ornate tiled patterns. The month of March must have been the middle of summer for Thailand, for it was hot as heck. The Thai locals don’t even seem to break a sweat, but if you spend enough time outdoors in Bangkok, you become one sweaty tourist. And I’m sure that the last of your concerns is maximizing the length of your clothing. However, if you plan on visiting any wats (sacred temples), you must abide by a strict dress code: no shorts, no mini-skirts, no see-through blouses, no sleeveless shirts. In other words, NO exposed shoulders or skin above the knee. What? Long-sleeve shirts and long pants in that humidity?! Well, rules are made to be broken should be followed. Adjacent to the Grand Palace, is Wat Pho, the Temple of the Reclining Buddha. The official name is Wat Phra Chetuphon Vimolmangklaram Rajwaramahaviharn – thankfully, it’s known as Wat Pho, for short. It is one of the largest and oldest wats (temples) in Bangkok, and is home to more than one thousand Buddha images, as well as one of the largest single Buddha images – the Reclining Buddha. 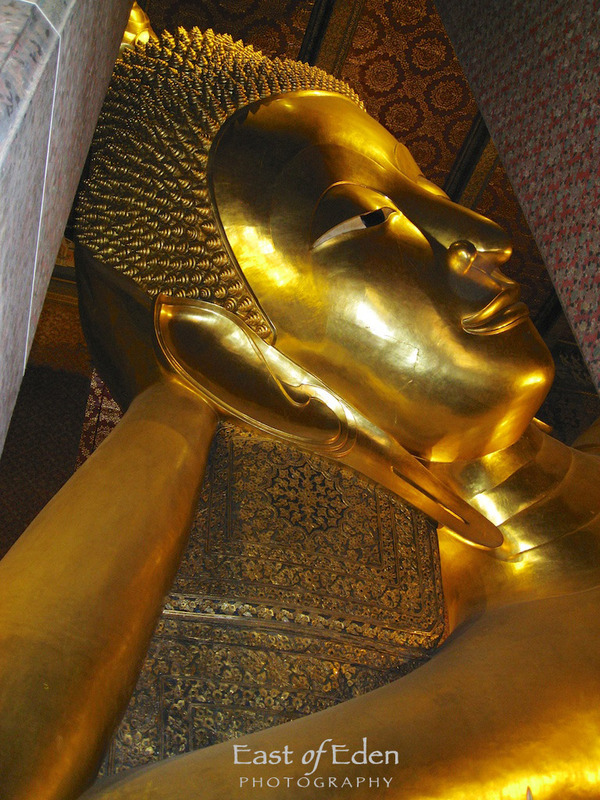 The Reclining Buddha is 15 m high and 43 m long with his right arm supporting his head. The eyes and the feet are engraved with mother-of-pearl decoration, and the soles of the feet also show the 108 auspicious characteristics of the true Buddha. 43 meters – how much is that exactly? That’s 150 feet long and all covered in gold leaf. I had never before laid eyes on this much gold! 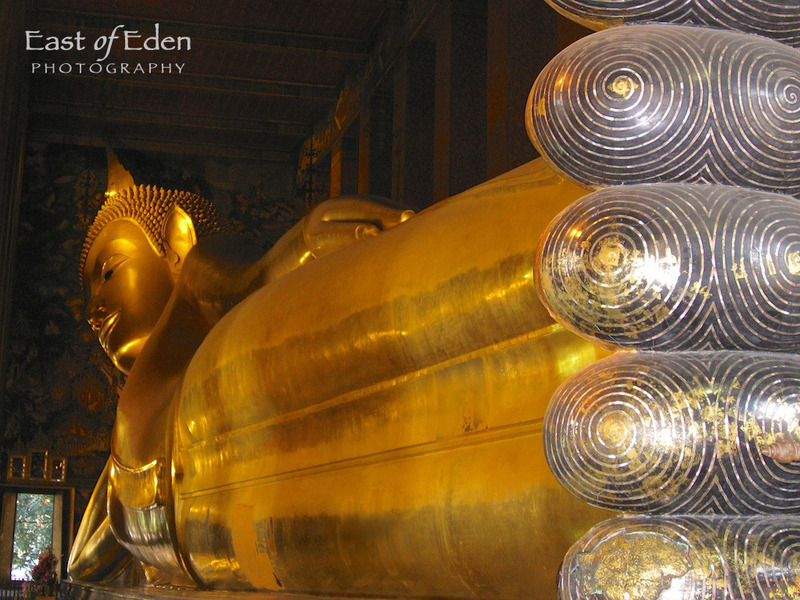 The impressive gold-plated reclining Buddha was designed to illustrate the passing of the Buddha into nirvana. Wat Pho was the first public university in Thailand, specializing in religion, science and literature. The temple gathered inscriptions of all knowledge pertaining to traditional medicines, history and literature. It is now more well-known as a center for traditional Thai massage. As a matter of fact, Wat Pho is often considered the leading school of massage in Thailand, so you should be in good hands here! Ooh, before I forget…Wat Pho is actually a working monastery where monks attend schools of worship and are housed. This reminds me of another rule – Buddhist monks are not allowed to make physical contact with women. As a woman, if you are on a boat or a bus, and you spot an empty seat next to a monk, don’t sit down next to the monk. Rules are made to be broken should be respected. What are some rules that you have encountered on your travels? 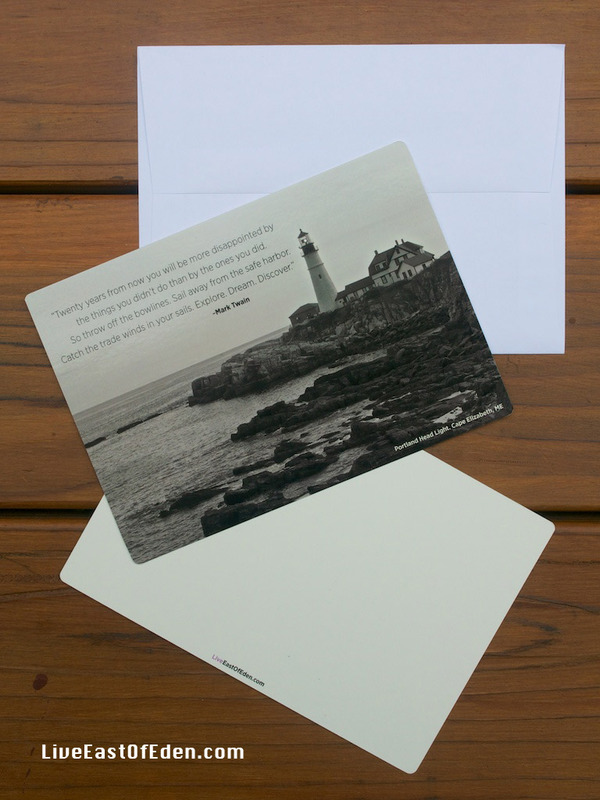 Shop Etsy for Blank 5×7 Note Cards. This entry was posted in Travel and tagged Asia, photography, Thailand, travel. Bookmark the permalink.